"At D&R Design we specialise in replacement conservatory roofs, offering a wide selection of colours and styles. All our products are complete with a fully comprehensive insurance backed 10 year guarantee." 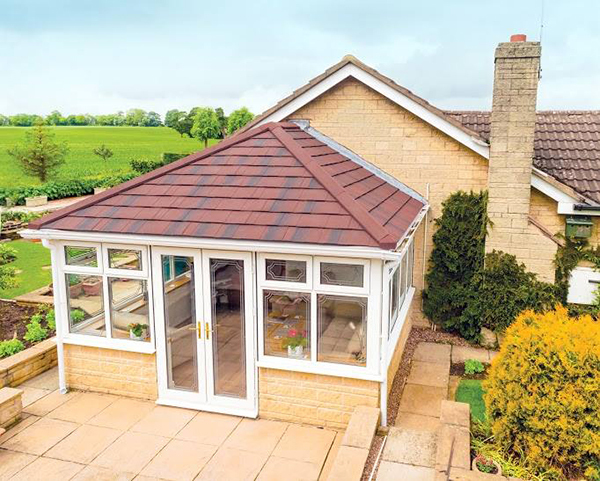 The SupaLite tiled roof system is an excellent solution to reducing your energy costs and your properties carbon footprint. It has been designed to be installed to fit onto existing conservatory window frames converting your conservatory into a usable all year round sun-porch. After exhaustive testing and design the SupaLite is now a product for every conservatory roof design and configuration. We can help you find the best solution for your conservatory. It can provide you with a certified, safe and energy efficient roof for your conservatory. "The dawn of a new era in the conservatory market." 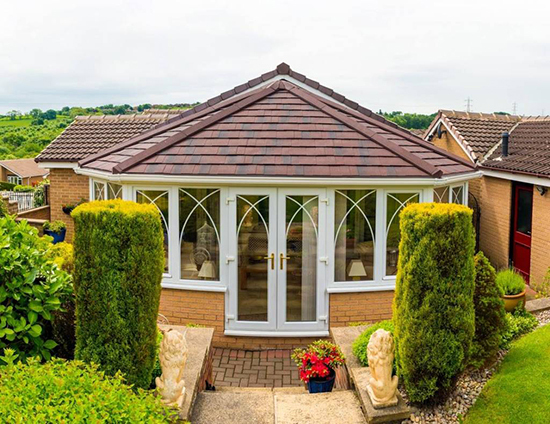 The SupaLite roof will enhance your conservatory by improving the atmosphere and and the appearance. The benefits of your new conservatory roof will be immediate and will be enjoyed 365-days of the year. Lightweight aluminium fully structural frame connector system for when new windows or doors are to be fitted to a new existing building. Large roof vents are available to allow in maximum light.